The cartoonish design of the Starship Hopper, plastered around social media over the last couple of weeks and Tweeted out by Elon Musk himself, has been something of a talking point. Musk posted this image of the completed spaceship weeks ago. 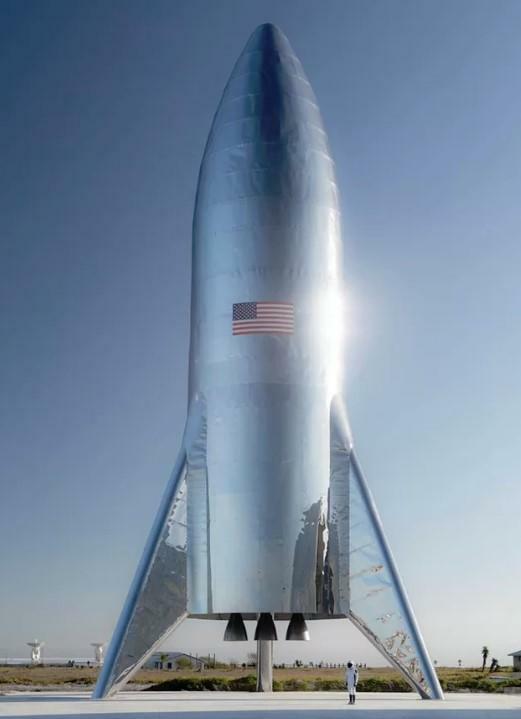 According to Musk, he had recently switched the material for the Starship Hopper from carbon fibre to stainless steel. Why? Because it was cheaper. In an interview with Popular Mechanics, Musk also mentioned that it was "actually the lightest" material he could have used. "The design of Starship and the Super Heavy rocket booster I changed to a special alloy of stainless steel. I was contemplating this for a while. And this is somewhat counterintuitive. It took me quite a bit of effort to convince the team to go in this direction. But now I believe they are convinced—well, they are convinced. We were pursuing an advanced carbon-fiber structure, but it was very slow progress, and the cost per kilogram of $135," Musk stated when asked why he switched. He followed up by saying: "The thing that’s counterintuitive about the stainless steel is, it’s obviously cheap, it’s obviously fast—but it’s not obviously the lightest. But it is actually the lightest. If you look at the properties of a high-quality stainless steel, the thing that isn’t obvious is that at cryogenic temperatures, the strength is boosted by 50 percent." Indeed it may be counterinuitive that one would want the lightest possible spaceship... or at least one would want a space ship that can, say, resist a modest gust of wind. Presenting Exhibit A. Naturally, social media has been having a blast reacting to the news that what is supposed to be the world's most advanced space ship was blown over by the wind. If SpaceX was able to test its Starhopper quickly enough, there would be mounting pressure on similar projects by NASA, that are over budget and behind schedule. But unfortunately, who could have predicted a set back like, oh we don't know, wind? Good luck with that next round of financing, Elon. Just remind your investors there's no wind in space.